I tried code from a number of blogs in an effort to get WASAPI loopback recording working. I only succeeded with one, but that obviously is good enough. The challenge is that WASAPI has a C++ interface. 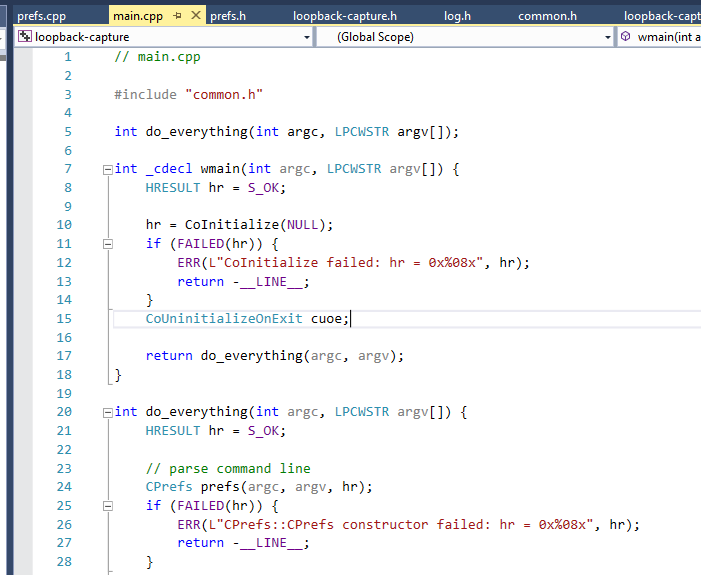 The fundamentals of C++ are simple enough… but when it comes to calling unmanaged code from .Net, I struggle, and need help. The “winner” then is this person’s Github repository , and specifically his entry on loopback-capture here. 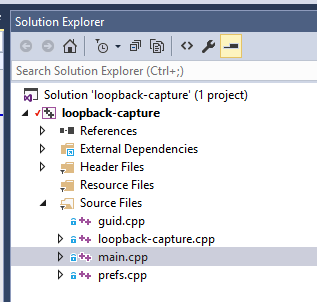 Helpfully the .sln built fine in VS2015. The “something bad happened” turns out to be a symptom of no active audio playback being detected. Running the single found device, with no file name, and making sure you are currently playing audio, results in a default-named wav file being saved to the current location. The “… spurious glitch… ” below seems to happen regardless. A packet in this context is doubtless a loss I could not even hear, although I have yet to prove that.